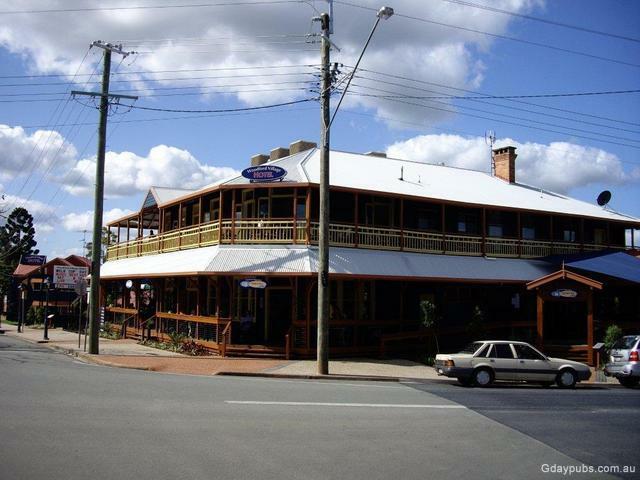 Pre 2010 known simply as the Woodford Hotel. "new owners have spent over 2mil on renos and it looks a treat (2010)" - Trevor. 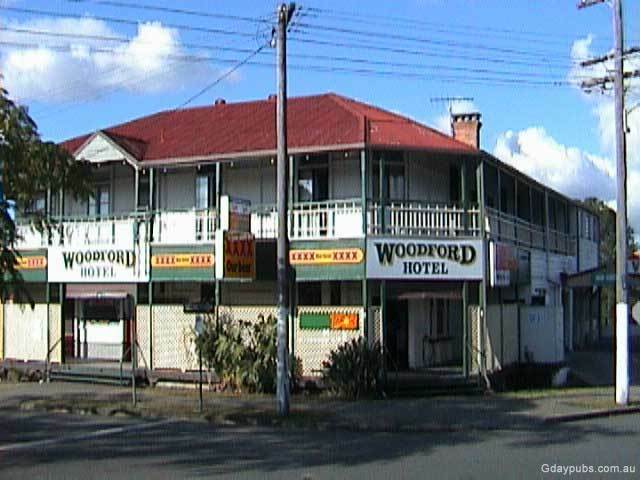 The Woodford is a Family run Hotel and it was a very friendly welcome for the Gday crew. 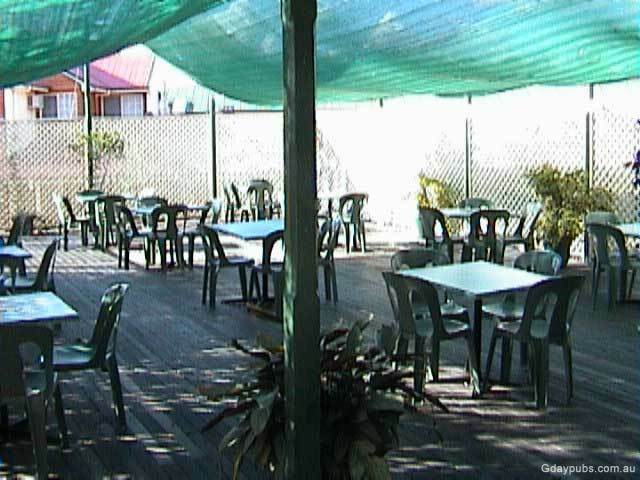 The front verandah wraps two sides and with the Beer Garden theres lots of places to watch the world go by from. 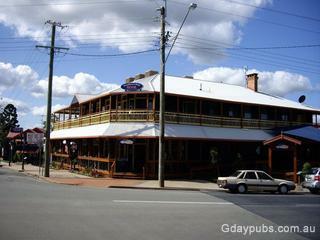 The Woodford was established in 1914 and then later moved across the road to where it is now. Fair dinkum. Straight across the road. Sunday is the Hundred club with huge meat trays and there is Karaoke once a month. Had a Ball during our stay. 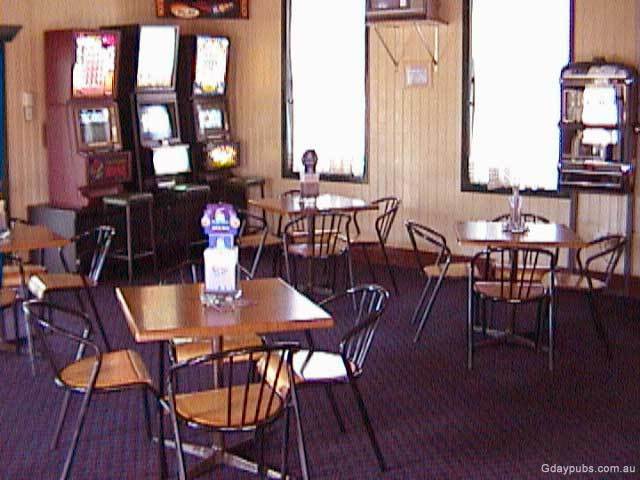 Yep, this is the Woodford that is the home to the famous Folk Festival that brings in every new year. Don't miss it. 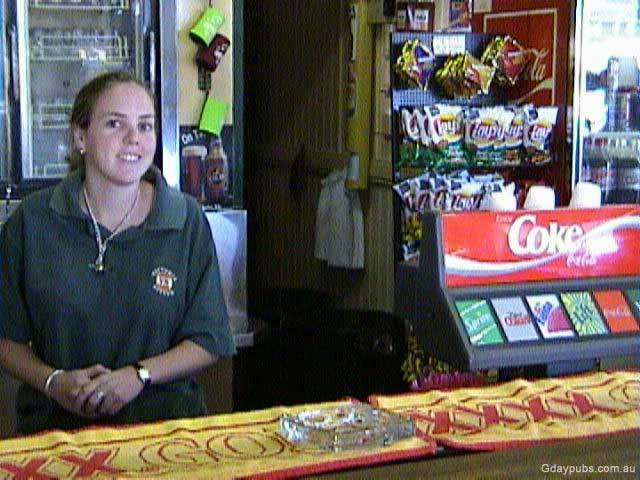 The counter meals are pretty special here at the Woodford Hotel.